The bungalow in Calpe / Calp has 1 bedrooms and has capacity for 4 people. The bungalow is charming, has an exterior, and is 84 m². It has views of the sea and the mountain. 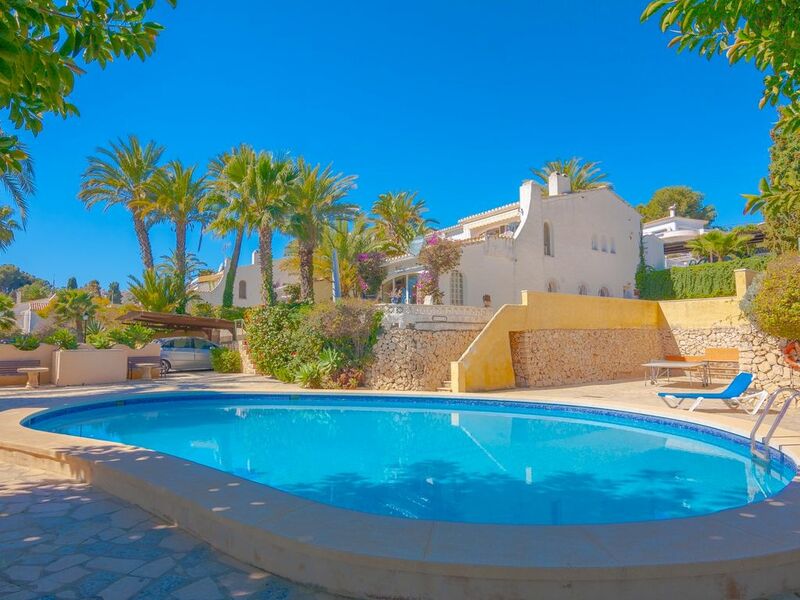 The property is located 750 m from Playa Calalga sand beach, 800 m from Playa Calalga rock beach, 2 km from Calp supermarket, 4 km from Calp city, 7 km from Club de Golf Ifach, Calle Micheta, 5, Ctra Moraira a Calpe, Km, 3. Urb. San Jaime, 03720 Benissa golf course, 81 km from Aeropuerto Alicante-Altet, 03195, Alicante airport. The house is situated in a family-friendly neighborhood in a residential complex. The accommodation is equipped with the following items: garden, garden furniture, fenced garden, 40 m² terrace, internet (Wi-Fi), balcony, paddle tennis court, electric heating, air-conditioned, communal swimming pool, open-air parking in the same building, 1 TV, tv satellite (Languages: Spanish, English, German, Dutch, French).